In this seminal new work, Martin Shaw, a leading expert on the sociology of war, argues that the new Western way of war is in crisis. He charts the development of a new warfare, after Vietnam, through the Falklands, the Gulf, Kosovo and Afghanistan. He argues that in the Iraq (mis)adventure (of which he provides a detailed analysis) and the War on Terror, the US has consistently flouted the key rules that enabled Western states to fight these earlier wars successfully. The results are not only political failure and a disaster in Iraq, but also a loss of credibility for the very idea of Western warfare. For Shaw, the new way of war focuses on containing risks to the lives of Western soldiers in order to minimise political and electoral risk to governments. Risk is transferred to innocent civilians, whose killing is explained away as 'accidental'. Yet the idea of managing risk is fundamentally at odds with the brutal, unpredictable nature of war. Ultimately, attempts to manage, govern and rule over the risks of war produce greater risks for those in power. 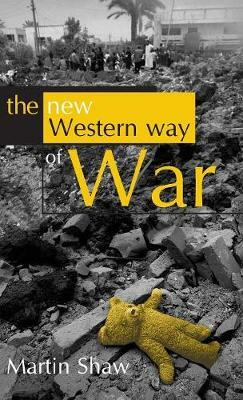 The New Western Way of War is a moral and political statement as well as a major contribution to sociology and international relations. It will make compelling reading not only for students and scholars of these disciplines, but for anyone concerned about Western political and military power, and the future for global justice.